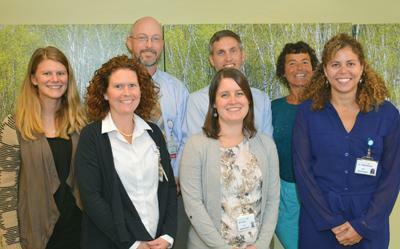 Welcome to MaineGeneral's HealtheMatters ! June brings the start of summer - outdoor fun, barbecues & plenty of good times. Whether you're staying local or traveling, keep yourself safe. And if you have an unexpected illness or injury, we're there for you! This month's issue includes stories on our geriatric medicine practice, our recent award for great stroke care, a Cardiac Rehab patient's success, a touching 'pay it forward' example...and more! As always, we welcome your feedback at public@mainegeneral.org . 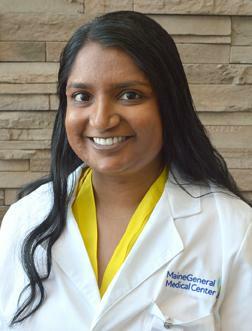 Meet Workplace Health's Shilpa Gowda, MD, MPH! Shilpa Gowda, MD, MPH joined MaineGeneral Workplace Health in March 2018. Board-certified in occupational and environmental medicine, she sees patients in Augusta and Waterville and at Workplace Health's worksite clinics. Before moving to Maine, Dr. Gowda was a woman on the move – starting her life in the Midwest and later shuttling to the East Coast, the West Coast and internationally as part of her education and work experience. Here’s her story…with a few of our standard questions thrown in for good measure! "Born in Cincinnati, I grew up in the D.C. suburbs and went to Brown University in Providence, RI, where I majored in neuroscience and then went to medical school. A surgical internship at USC Medical Center in Los Angeles followed and then I traveled abroad to learn about tropical medicine and infectious diseases. That experience brought a new interest in public health, which led to an occupational and environmental medicine residency at the University of Washington in Seattle and a master’s degree program at the University of Washington School of Public Health. I found that I really loved this field and returned to Cincinnati to work for the National Institute for Occupational Safety and Health, investigating workplace health hazards throughout the country. Now in Maine, I look forward to help better the lives of Maine workers!" I eat right, exercise on the elliptical and work steps into my day with the MaineGeneral Virgin Pulse app and my Fitbit Blaze, among many other things. I hope I’m a good role model for my patients and the community at large. I like to spend time outdoors and with nature. I also really enjoy yoga and meditation. What drew you to the occupational medicine field? Occupational medicine represents the chance to address a health problem in the context of people’s livelihood and functioning, their ability to do the very things that drive them to get out of bed in the morning. I appreciate playing a role in preventing occupational injuries and illnesses and, as the saying goes, "an ounce of prevention is worth a pound of cure!" What gives you joy professionally? Engaging daily with people on a very human level and using my creativity and problem solving skills to serve others. I'm very fortunate to work with a boss who fosters my professional and personal growth in the process. Paul Krizinauskas’ “golden rule” opportunity first presented itself in 2015 when he received inpatient chemotherapy treatment for leukemia at Dartmouth-Hitchcock Medical Center in Lebanon, NH. 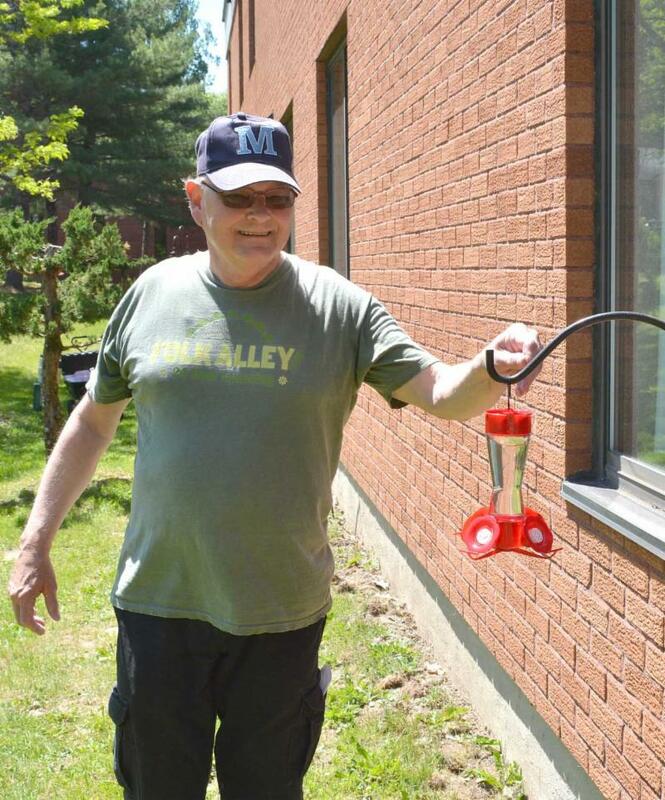 While there, he watched intently as a retired nursing supervisor volunteered her time to tend hummingbird feeders for patients like him to enjoy. That opportunity was reinforced when he returned to the center for treatment in 2017 and then spent several weeks recuperating at MaineGeneral Rehabilitation and Long Term Care at Gray Birch in Augusta. He started a small campaign to raise money to buy the feeders, the poles they hang from and needed supplies. He met his fundraising goal through donations from family and friends and support from a few local businesses. Krizinauskas installed 56 feeders at Gray Birch in mid-May and the speedy visitors appeared a week later. He now visits Gray Birch twice a week to fill the feeders and take them home for cleaning on a rotating schedule. “You know the ‘golden rule’ from the bible – ‘do unto others as you would have them do unto you’? That inspired me to pay it forward,” he said. Perhaps informally known as Gray Birch's “Hummingbird Man,” Krizinauskas is thrilled with the response from residents and staff. As Maine’s population continues to age, there is a greater need for caring, compassionate medical professionals whose sole purpose is to meet each patient’s unique needs. Enter Maine Dartmouth Geriatric Medicine (MDGM). MDGM’s team is dedicated to supporting the health care needs of people age 65 and older in the Kennebec Valley. “We offer patients a unique experience,” said Annette Beyea, DO, MPH, the practices’ medical director. The staff takes pride in giving patients a full range of care wherever they are. “We see our patients in the office setting, home and assisted living facilities,” Beyea said, adding that the team includes board certified geriatricians working collaboratively with a geriatric nurse practitioner, nurse and social worker. MDGM also is committed to expanding access to age-friendly health care and serves as a primary training site for medical professionals. “We train medical and pharmacy students and see this as a critical part of our role as specialists in the care of aging people," Beyea said. MDGM is accepting new patients. 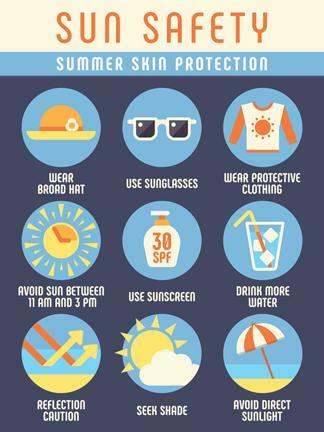 Think skin safety this summer! 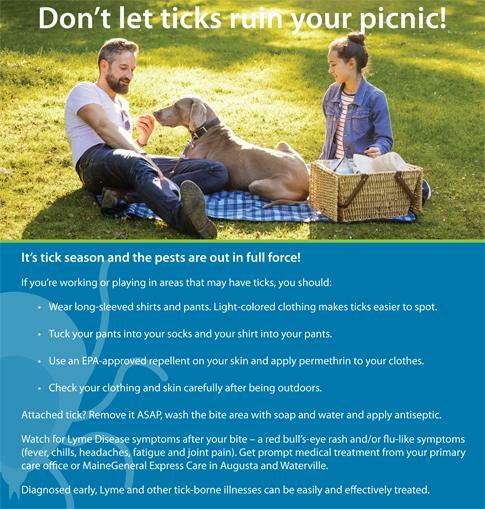 With the arrival of warm, sunny weather, MaineGeneral wants to remind you to protect your skin. Apply 1 ounce (2 tablespoons) of sunscreen to your entire body 30 minutes before going outside. Reapply every two hours or after swimming or excessive sweating. Examine your skin head to toe every month so you can find any new or changing lesions that might be cancerous or precancerous. Skin cancers found and removed early are almost always curable. See your health care provider every year for a professional skin exam. Everyone told Gabor Korthy he’d feel much better after receiving a cardiac stent in December 2016 to combat a blockage that brought chest pain, shortness of breath and fatigue. 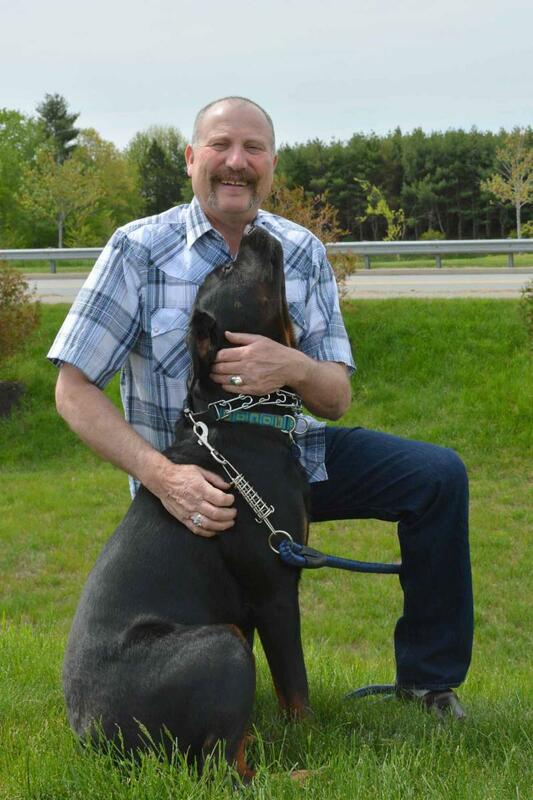 His situation began improving a month later, however, when he began monitored exercise sessions through MaineGeneral’s Cardiac Rehabiliation Program. Now nearly 18 months later, Korthy is a strong proponent of the program that gave him confidence, peace of mind and a symptom-free life. The 63-year-old retiree exercises two days per week at the Alfond Center for Health in Augusta and said the program and its supportive staff have given him control of his health and wellness. Cardiac Rehab also is offered at the Thayer Center for Health in Waterville. Equally important, Korthy said, is that it gave him the confidence to exercise again. MaineGeneral Medical Center has received the American Heart Association/American Stroke Association’s Get With The Guidelines®-Stroke Silver Plus Quality Achievement Award. 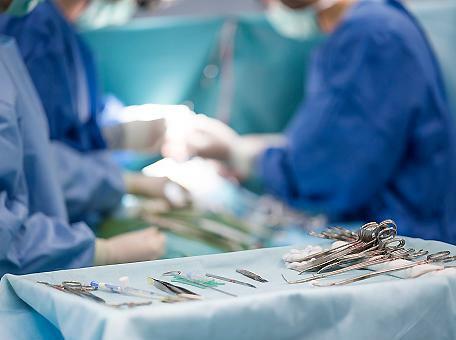 Patients facing surgery are often anxious and can have significant post-op pain and stress. Peggy Huddleston’s Prepare for Surgery, Heal Faster™ program is used in hospitals across the country and has been shown to decrease the need for post-op pain medication, shorten hospital stays and decrease complication rates. MaineGeneral Prevention and Healthy Living will offer this program regularly, with the first session on Wednesday, June 27. Looking for a new, tasty recipe that includes strawberries in season? Look no further! 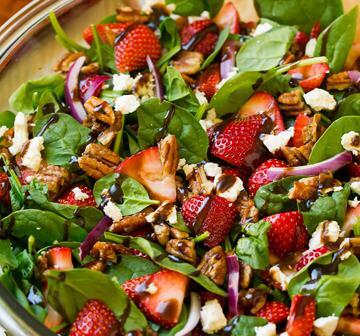 This month's recipe is Strawberry Toasted Pecan Chicken Salad...a great entrée that offers protein, plenty of vitamins and a tangy, fruity deliciousness! Bring this wonderful dish to your next gathering as a great complement to grill fare. Enjoy!